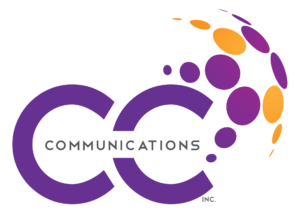 Public Relations :: CC Communications Inc.
Is your online presence ready for 2018? It can be tough to keep up with the changing platforms and trends of social media marketing. For this reason, CC Communications has researched the following trends in order to help you continue to grow your brand online – here is a rundown of what to expect in the early onset of 2018. Customers recall imagery and videos better than text. Video content is therefore on the rise. 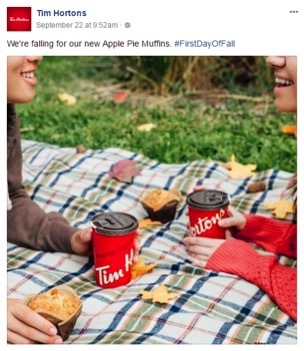 If you only post text updates to your Facebook page, get ready to change your social media strategy. Live features on Instagram, Facebook and Snapchat have popularized video options from covering live events to announcing new products. We predict that next year, your social timeline will include even more visuals, including GIFs, videos, photos and animations. Social media is where many customers go to get answers to their product questions and inquiries. Consumers demand quick answers and chatbots help facilitate this. Chatbots allow you the opportunity to reply to customers instantly through social media messaging if you are not online or when a message is received outside of business hours. A well-maintained conversation with your customer after a “cold chatbox introduction” is made should become a number one priority in order to #ConnectMORE with your target audience. A social media manager should follow up with all leads and inquires received to ensure that customers questions have been properly answered. Most social media sessions are accessed through mobile devices. Facebook reported 1.23 billion daily active users as of December 2016, with 1.15 billion of those coming from mobile devices. Taking the time to ensure that your ad is well-designed is important, however, a great ad design will not help if customers are directed to a website with slow load times and a difficult navigation structure. Prevent this by making your website mobile-friendly, user-friendly, and accessible. 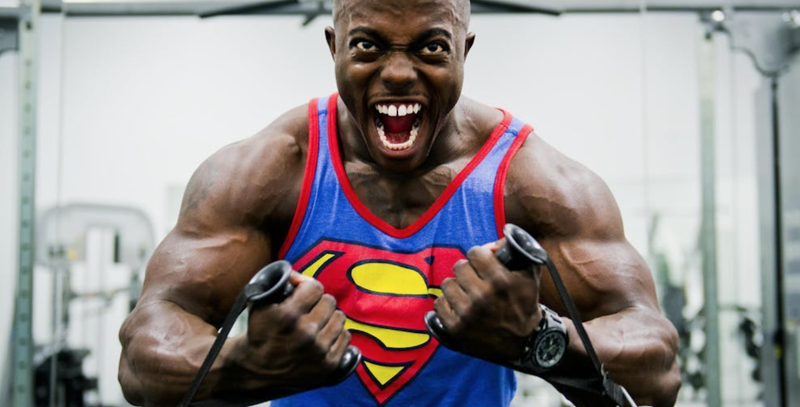 Stay ahead of the curve by building a strong online presence now. 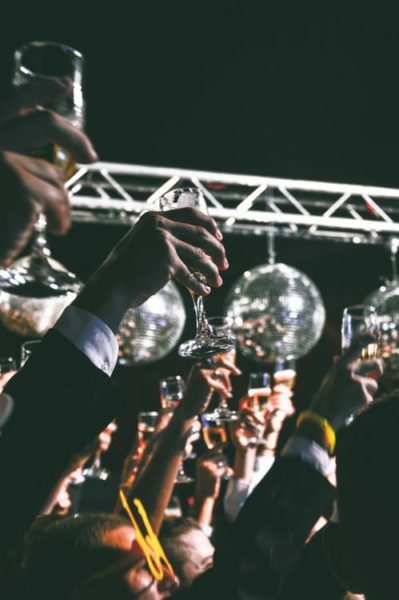 Build an effective social media strategy before the ball drops in 2018 by booking your FREE 30 minute consultation with CC Communications today! As consumers are less frequently using traditional forms of advertising, it is important to start building your online presence now. Google searches have replaced the need for a phone book and social media marketing has become an effective way to virally-expand your brand’s exposure on an epic scale. Compared to signage, social media marketing allows you the opportunity to record data regarding those who have seen and interacted with your advertisement. Taking the time to build your brand’s presence online is a worthwhile investment. You will gain access to valuable analytics while opening a door for communication to your customers. The sooner your business is online; the sooner people can find you. People are searching for your brand on social media channels and Google. It might start with just a few friends liking and sharing your Facebook page, but that leads to a wider audience being exposed to your brand. Remember, word of mouth advertising is now spread online! Once you have a captive audience of social media followers, it’s easier to spread your messages to them and convert your audience into customers. You are not limited to local reach when using online marketing tools. Your target market can be isolated or you can choose to expand globally. The option for reaching a segmented audience is limitless and the data recorded for such marketing initiatives will help you plan for future campaigns and/or promotions. Claim your keywords and hashtags! Your brand’s hashtag is important, so make sure to claim your own before a competitive businesses does. Your hashtag helps your audience connect with you overall brand and helps people discover your brand to further your reach on social media platforms like Facebook, Twitter, Instagram, Google+ and more! Getting your brand online leads to more exposure for your business and, as a result, can help boost your online and in-store traffic. 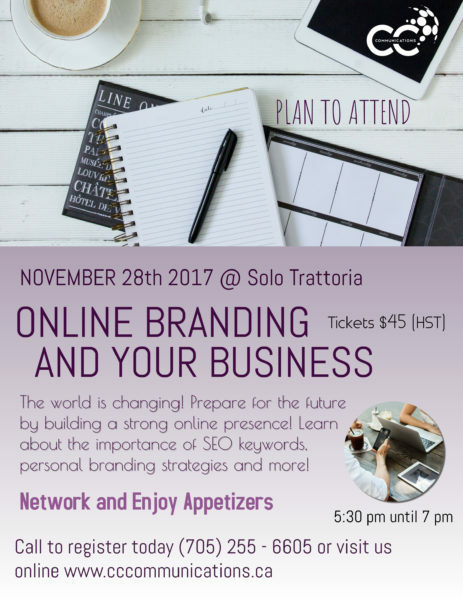 Join us at CC Communications’ Online Branding and YOUR Business Introductory Seminar on November 28th at Solo Trattoria in Sault Ste. Marie. From 5:30 until 7:00 pm, you will learn how having and maintaining an online presence can take your business to the next level and help you #ConnectMORE with your customers! Delicious appetizers from Solo Trattoria is included with your $45 ticket. Get your tickets today and reserve your spot by clicking here! Host a campaign with CC Communications that shows off your unique fall flair! Have products or services that would provide comfort during this upcoming season or in the preparation of winter? Make them stand out online with professional photography services as well as a well-managed two week campaign to bring traffic to your storefront and increase your viewership online. Book your FREE 30 minute consultation to learn more! A Starbucks Pumpkin Spice Latte, affectionately referred to as a PSL, is arguably the trendiest drink for Fall. Since introducing the drink in 2003, Starbucks has made over 100 million dollars in revenue from PSLs each year! 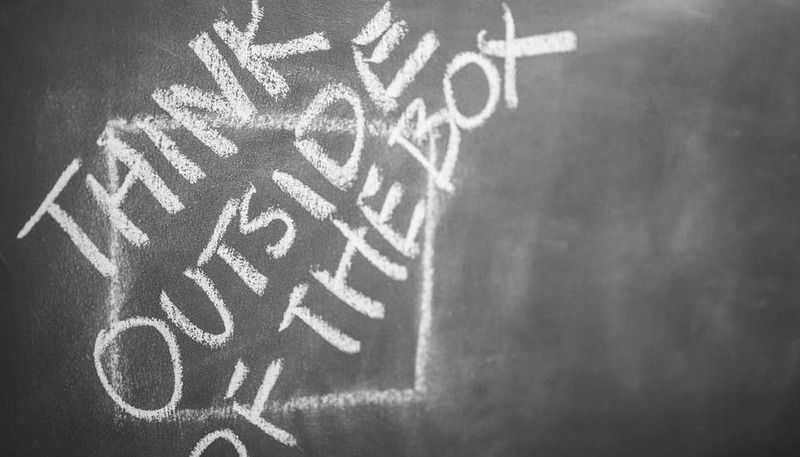 Get creative with your products and services and “spice them up” in a similar manner! Take advantage of Football season by interacting with the current game schedule! Host a campaign that makes reference to upcoming games or products/services that could enhance game day! For more ideas book your FREE 30 minute consultation with CC Communications. Google Doodle for the First Day of Fall showcases the incorporation of the season in their branding. 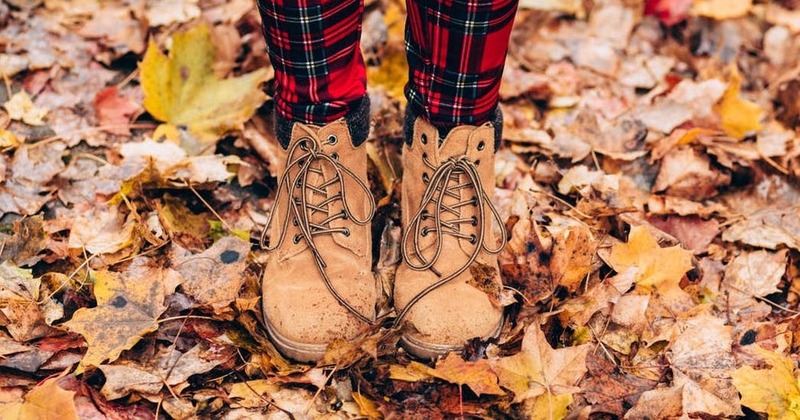 Consider changing your profile picture or cover photo to reflect the changing season. You can also try enhancing your logo by incorporating some symbols that resemble the changing season. Google frequently changes their logo to reflect seasons, holidays or events – take a look through the Google doodles archives for some inspiration. Over 76% of marketers report that finding quality content is the greatest marketing challenge. Posting regularly to social media requires research, familiarity with trending topics, strong communication skills and brain power! 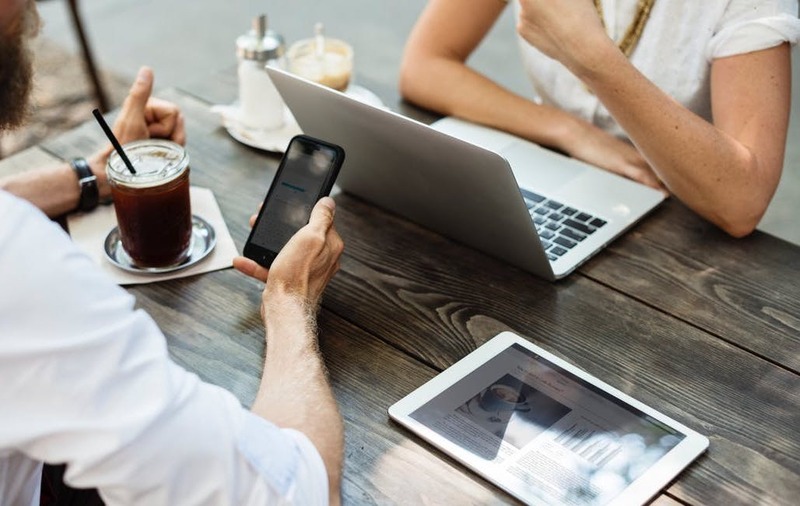 Social media is the perfect place to #ConnectMORE with your audience and “get social” with your customers. Try posting content that is interactive. For example, ask your audience questions about their preference or personal opinion to entice a conversation. Once your followers have started to engage with you, it is important to respond. Social media platforms make it easy to respond to followers by replying to their comments or by using the “@” symbol to speak directly with them. Other users are more likely to participate in the conversation when they view responses from the company. In this post to the left, it is clear that the company has not made an effort to converse with their audience. Such posts are ad driven to increase sales but fail to start an interactive conversation. 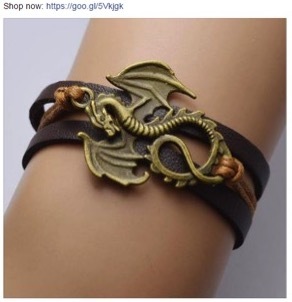 If a social media user is interested in the product, they may purchase the item, however posts such as this fail to encourage conversation or social interaction. This is a disadvantage because social media interaction through the form of written conversation often spurs interest from other users who could become potential buyers of such products and/or services. 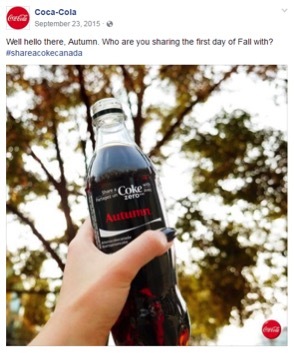 Can you spot the difference in this Coca-Cola post for example? It makes a point to engage followers by asking them a question, while still promoting the product. Sharing and reposting existing content is part of a good social media strategy, but the majority of your content should be unique and relevant to your overall products and services. People will follow your social media pages to view content that represents your business and brand. Keep your content fresh! Research and capitalize on trends people are socializing about. Include visuals that represent your brand. In doing so, your social posts become 80% more interactive according to Facebook analytics. 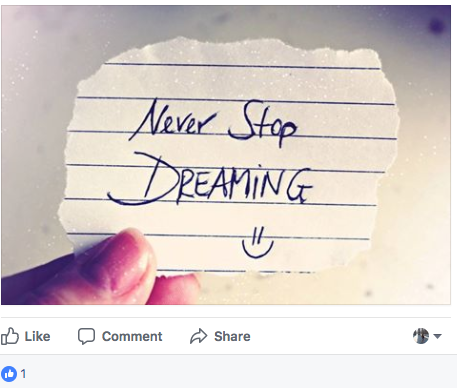 For example, by adding this image of a quote to the Facebook post it has become more visually stimulating and might encourage viewers to remember it’s positive message (and your brand in association). For commercial photography, consider utilizing the photography services of CC Photography, a division of CC Communications. Also book your FREE 30 minute consultation as our agency is driven to provide business owners with the opportunity to increase their brand awareness and build community through interactive and conversational content.